That’s what Webb Estes ’06, M.Acc. ’07 says when explaining how his father, Rob Estes Jr. ’74, built a regional transportation company into a national industry leader while many lesser competitors fell by the wayside. It’s a way of seeing the world that is shared by other Richmond-based William & Mary alumni with deep roots in the region, an eye toward the future and a commitment to making life better for everyone. These alumni are playing a significant role in positioning their hometown for economic competitiveness nationally and globally as leaders in their respective fields while also tackling some of its most persistent challenges. They see the city evolving into a popular destination for 21st-century economic players such as CoStar, Facebook, Amazon and Stone Brewing Co. And not only that, they’re making it happen. When he was the CEO of Ukrop’s Supermarkets, Jim Ukrop ’60, L.H.D. ’99 recalls, he traveled to Jacksonville, Fla., in the early 1990s with a group of Richmond business and civic leaders for the first of what became an annual series of ChamberRVA trips to learn more about how other cities operate and boost economic opportunities at home. Perceptions of the region from the outside have changed thanks in part to the growing reputation of its vibrant food and art scenes, as well as its recreational opportunities. In 2012, Outside Magazine put Richmond at the top of its list of “progressive, adventurous and livable river towns” and it made Forbes’ list of best places for business and careers in 2017. 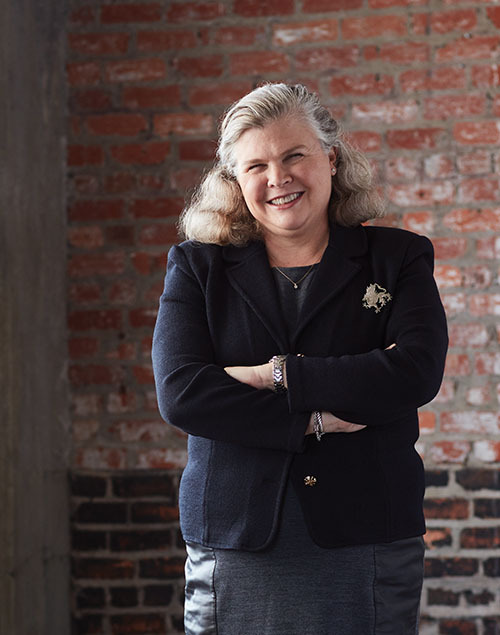 As ChamberRVA President and CEO Kim Scheeler sees it, Ukrop has been one of the leaders most responsible for helping bring about that change. 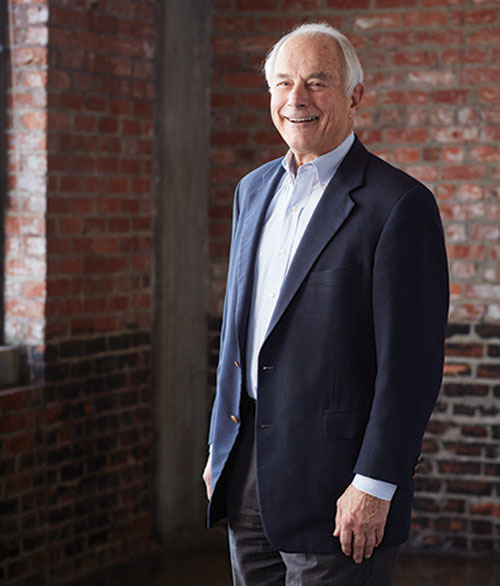 Ukrop, along with his brother, Bobby, expanded the supermarket company that bears his family’s name from a single store on Hull Street to a widely admired regional chain of more than 30 stores that operated from 1937 to 2010. After selling the operation to the Dutch parent company of Martin’s Food Stores, he and two partners from William & Mary started New Richmond Ventures, now called NRV, to boost entrepreneurial efforts in Richmond and beyond. Before launching its Early Stage Growth Fund in May, NRV had supported companies that created 341 jobs, a fifth of which pay more than $100,000 a year. Among those companies is Health Warrior, which began selling its chia-seed energy bars at a Richmond natural food market in 2011. Shane Emmett, Health Warrior’s co-founder and CEO, said that Ukrop became an individual investor even before NRV’s fund was established. The investment from Ukrop and NRV helped Health Warrior expand from distributing to about 400 Whole Foods locations to about 15,000 stores nationally, including Target and Wegmans. This is in addition to online sales, with revenue reported at $9.9 million in 2015, according to Inc. magazine, which ranked Health Warrior among the fastest growing private companies in America in 2016. 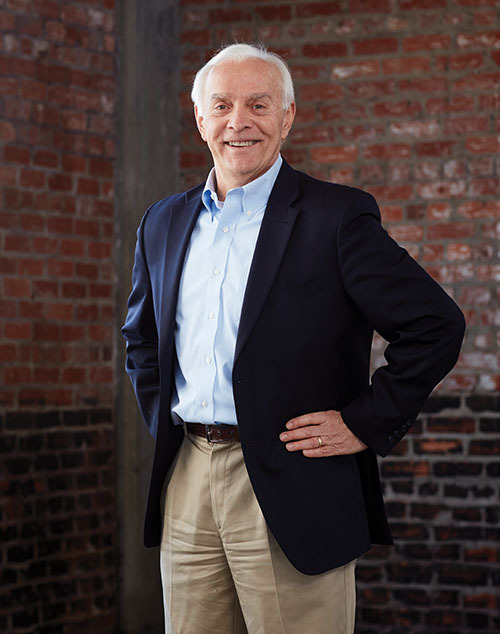 In addition to his work with entrepreneurs, Ukrop has been one of the driving forces behind the renovation and expansion of the historic Carpenter Theatre into what is now the Dominion Energy Center, with multiple venues for performing arts, and he’s part owner of the Quirk Hotel, which has quickly become a downtown dining and upscale lodging destination. Well past the typical retirement age, Ukrop continues to push the region forward through projects such as OneVirginia2021 — organized to promote fair, nonpartisan redistricting — and an effort to build relationships between business and community leaders in Central Virginia and the Tidewater region. In a similar way, he says, he hopes to leave his world a better place than he found it. As the former president and CEO at Philip Morris USA, Cliff Fleet ’91, M.A. ’93, J.D. ’95, M.B.A. ’95 led the largest tobacco company in the United States, with more than $8 billion in adjusted operating income. Since leaving the company in mid-2017, he’s been investing in and sharing his expertise with up-and-coming ventures. “I’ve wanted for some time to go do something that would take my life in a different direction, so I jumped into the entrepreneurial ecosystem,” he says. One company he’s assisting as an operating advisor is Nutriati, a Richmond-based food technology startup that extracts protein from chickpeas for use in a variety of products, such as protein bars, shakes and pasta. Richard Kelly, Nutriati’s co-founder and CEO, had worked with Fleet at Philip Morris and knew that his experience in the consumer products industry would be valuable. Before becoming CEO, Fleet had worked in a variety of roles at Philip Morris, including operations, marketing, finance and investor relations. “He’s a very good strategic thinker,” says Kelly. “I knew from working with Cliff that he’s naturally creative and nimble.” Backed by $9 million raised from investors — including NRV and London-based Tate & Lyle Ventures — Nutriati is scaling up manufacturing and plans to have its product on the market in early 2018. Another way Fleet shares his business experience is through workforce development and young professional programs with ChamberRVA, where he is vice chairman and will become chairman in 2019. He sees Richmond as a city that’s changing rapidly in positive ways, thanks in no small part to leadership by William & Mary alumni such as Ukrop, NRV partner Bob Mooney ’66 and others. As a student, he explored a couple of career paths before settling on business. A lifelong learner, Fleet is one of only approximately 14 alumni to hold four or more degrees from William & Mary – a bachelor’s in history and religion, a master’s in history, a law degree and an MBA — all earned in less than eight years. He’s still a voracious reader, finishing about a book each week. As an alumnus, Fleet gives back to the school by focusing on private fundraising through service on the W&M Foundation board, where he chairs the academic sub-committee, and teaching seminars at the law and business schools. From the 18th floor of downtown Richmond’s Bank of America building, you can see Shockoe Bottom, once the center of commerce and home to large tobacco warehouses. You can see the James River and the countryside beyond. “So much history,” notes Victor Branch ’84. One recent morning, he watched fog curling on the horizon and took a picture. Growing up, it would have been hard for him to envision himself having an office here one day, much less overseeing the entire Richmond operation for the bank. The youngest of five children born to a tobacco plant worker and a nurse’s aide, Branch was the first in his family to attend college. “I never would have imagined getting a degree from a prestigious school like William & Mary,” he says. Before enrolling at William & Mary, he attended Richard Bland College, a two-year school affiliated with W&M. He lived at home in Dinwiddie County while completing the program, which he says “allowed me to find my voice.” In an early indication of his leadership skills, he became the school’s first African-American student government president at a time when the student population was 94 percent white. A sociology major, he transferred to William & Mary along with a close-knit group of Richard Bland students who continued to help and support each other in the larger, more competitive and academically rigorous environment. 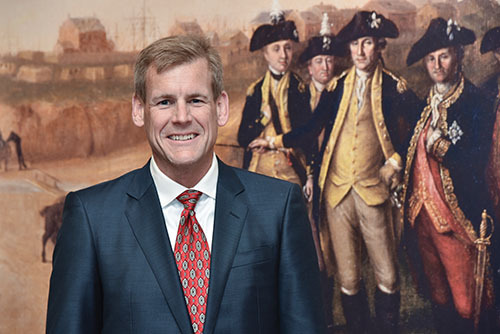 Branch joined Sovran Bank (created by the merger of F&M in Richmond and Virginia National Bank) and rose through the ranks to become president of the Richmond market for what is now Bank of America, never leaving his home base. When he entered Sovran’s management training program after graduating from William & Mary, it was a $12 billion firm with 12,000 employees across Virginia. Now, he’s part of a global company with 230,000 workers around the world. Branch oversees 23 bank locations with 2,000 staff members and the largest deposit share in the region. He marvels at the changes, from adding with calculators to iPads and mobile banking. “Banks reflect a community’s strengths and weaknesses,” Branch says. 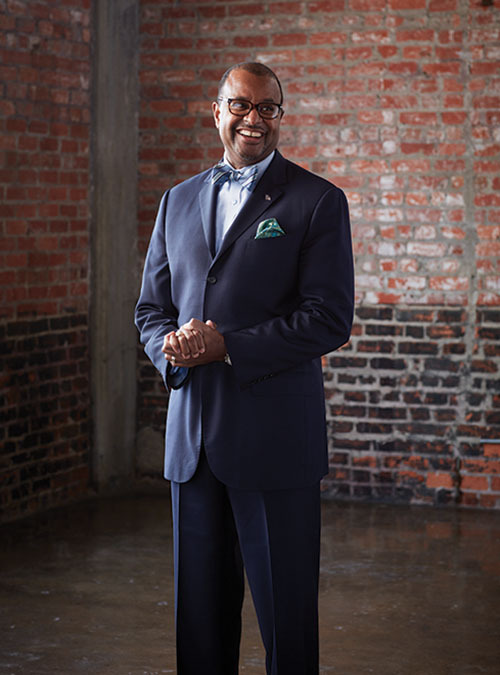 “As a community grows and thrives, that benefits the bank.” One way he stays in touch with the community is by serving on boards for organizations such as Housing Opportunities Made Equal (HOME), ChamberRVA and Smart Beginnings of Greater Richmond. The bank also gives $1 million each year to nonprofits serving the region, and employees volunteered more than 20,000 hours in 2016. Early in her career, Hylah Ballowe ’94, would stand in front of Lowe’s while working at the Midlothian office of Scott & Stringfellow and hand out business cards to meet people and get her name out as a stockbroker. That took tenacity and perseverance — qualities she developed as a former college lacrosse player at William & Mary, balancing athletic and academic rigors. She grew up listening to her father, a municipal bond trader at Davenport & Co., talk about work. Unlike most kids, she was fascinated. “I just wanted to do what my dad did.” But she didn’t just follow in his footsteps. “I wanted to make it on my own,” she says. Her father, McGuire Boyd, cautioned her about going into such a highly competitive field in which income is based on commissions and fees. Ballowe eventually joined Davenport in 2000, two years after her father retired. At 46, she is still one of the youngest brokers at the firm, where she serves on the board of directors and as a managing director with its Ballowe Geho Roddey Group. The successful practice she built with her business partners at Davenport earned her recognition by On Wall Street Magazine as a Top 40 Under 40 investment advisor in 2000, when she was one of just three women on the list. The article listed her assets under management at $106 million, a number that has risen significantly in the last 10 years, she said. For someone who attracts clients mainly by word of mouth, reputation is everything. “She’s decisive, she communicates well and she’s got very good judgment,” says Trigg Brown Jr., executive vice president at Davenport, adding that she brought a youthful energy to her team. Ballowe’s contributions earned her a seat on the board at Davenport. She recalls competing against Davenport when she worked at Scott & Stringfellow. 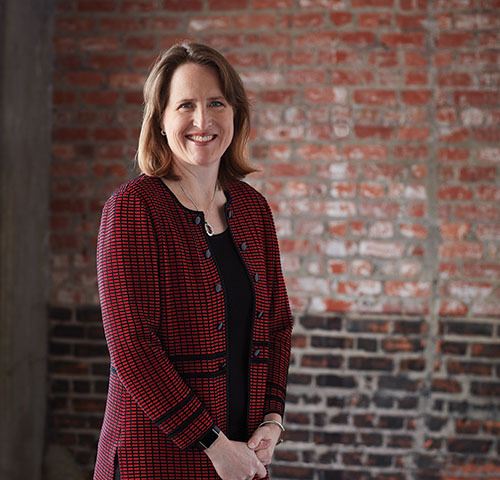 Now she is a leader contributing to the vitality of the 154-year-old firm, one of the few financial services companies still headquartered in Richmond. She has clients all over the country, though the majority are from Virginia and have Richmond connections. Ballowe works with trust and estate clients, as well as helping people to structure their portfolios to maximize investment strategies as they plan for life events such as college and retirement. Outside of work, Ballowe served on the Maymont Foundation board in Richmond for five years, during which time the Children’s Farm was revamped and the foundation purchased two homes adjacent to the publicly owned, privately managed park that was once home to a railroad magnate. As a leader of Women in Action, a group of alumnae athletes from William & Mary, she also mentors female athletes, hosts events and raises funds to support women’s sports programs and scholarships. Her contributions include a gift that enabled her to name the referee locker room at the Martin Family Stadium in honor of a former lacrosse teammate, Julie Waicus ’93, who is now a primary referee assignor for southern New Jersey and referees at the NCAA Division 1 level. Oddly enough, Richmond-based Estes Express Lines might be better known outside its hometown. One reason for that could be the humble nature of President and CEO Rob Estes Jr. — a quality two longtime friends mention when talking about him. Estes built the regional company his grandfather founded with a used Chevrolet truck in 1931 into a major carrier with coast-to-coast coverage and annual revenues of more than $2.5 billion. With about 17,000 employees and 178 terminals serving all 50 states and the Caribbean, Estes Express’ fleet delivers more than 11 million shipments a year of products that range from machinery parts to furniture, clothing, exercise equipment and food. Among its clients is retail chain The Home Depot, which recognized Estes Express as its LTL carrier of the year in 2016 and 2017. Navigating constant technology changes has been a key to staying competitive. Rob Estes recently traveled to speak at a summit in Chicago on that very subject. Just as consumers are able to track an order from Amazon or FedEx, Estes Express customers expect real-time information about what is being shipped to them and when. “We say, tongue in cheek, that sometimes the information about the freight we deliver is almost more important than the freight,” he says. Tommy Barnes, president of the Chicago-based transportation technology company Project44, which sponsored the summit, has known Estes for about 20 years as an industry business partner. He says that besides being humble, Estes is full of energy and ideas. While Estes always knew he would work for the family business, he says that college helped him become more of a questioning thinker. Rob Estes first worked in sales and later became a district manager and then treasurer. When he took over the reins in 1990, the company had about 25 locations in just a few states. “I’ve evolved as the company evolved,” he says. When SunTrust Bank approached Elizabeth Cabell Jennings ’85 about becoming Director of Institutional Investments for its Foundations and Endowments Specialty Practice after a national search, the company knew she had deep investment knowledge as well as extensive volunteer experience serving not-for-profits, says Stephen Yarbrough, head of Institutional Investment Solutions for SunTrust. It was exactly the kind of opportunity Jennings wanted, but there was one hitch — the job was based in Atlanta, and she lives in Richmond. As a result, she divides her time between the two cities, in addition to other travel to serve clients along the East Coast between Maryland and Florida. In that role, which she started in October 2016 after 28 years managing client portfolios at Thompson, Siegal & Walmsley, she oversees a team of 15 professionals working with more than 700 not-for-profit clients representing $30 billion in assets to protect and increase the value of their investments. The clients include educational and charitable institutions, religious organizations and private foundations. She sees her role at SunTrust as synergistic with her involvement in the Cabell Foundation, established in 1957 by her great-uncle Robert G. Cabell III and his wife, Maude, and her volunteer experience serving on committees for the William & Mary Foundation board, Virginia Theological Seminary, the Richmond Symphony and the City of Richmond’s Retirement Plan. As treasurer for the Cabell Foundation, she’s involved in giving $5 million a year to organizations engaged in preservation, education, arts and culture, environmental improvement, health, social services and other needs, seeking out projects that will have an impact. Among the recent beneficiaries is William & Mary’s Integrated Science Center complex, which raised $1.5 million in matching funds thanks to a challenge grant of $500,000 from the foundation. The funds enabled the purchase of equipment for the science center’s newest wing, supporting innovative research projects, including one that focuses on the conservation of endangered monarch butterflies. 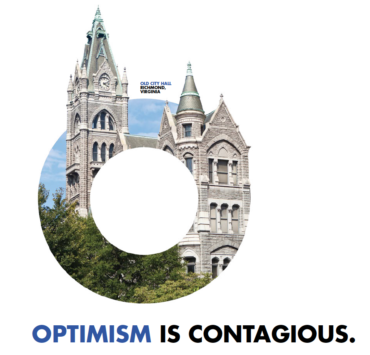 Scott Dodson, director of advancement and patron communications for the Richmond Symphony, would agree. A member of the symphony’s board, Jennings is co-chairing a recently launched campaign to raise $12 million in order to increase its endowment to $20 million by 2020. By late fall, the campaign was already 80 percent of the way toward its goal, Dodson says, thanks in large part to Jennings’ involvement. One project that has resonated is the symphony’s Big Tent, which travels around the area, bringing classical music to parks and neighborhoods where it’s not usually heard, in addition to providing instruments and lessons to children in Richmond public schools. As a member of William & Mary’s Society of 1918, Jennings is also recognizing the 100th anniversary of co-education and working to get women more engaged in philanthropy at the university. An economics major who minored in political science, she took accounting, finance and investment classes at the business school, which helped determine the direction she would take in her professional life. Change can come about from outside influences — such as the Connecticut-born engineer who developed Richmond’s streetcar system, or the municipal planner from Massachusetts who set the course for road and housing development in the mid-1900s, or the CoStar Group’s recent investment in a new downtown headquarters for its commercial real estate research operation. But these six extraordinary William & Mary alumni demonstrate the power of creating change from within. Whether they’re working to build new business ventures that redefine the economic landscape, constantly reinventing long-established operations, serving as mentors to the next generation or exploring new ways to apply their talents to transform the world around them, these insightful leaders are never content to settle for the way things are, but always moving toward a brighter vision of what will be.